Nice people, nice weather, nice backgrounds and nice aircraft, Finland has it all! 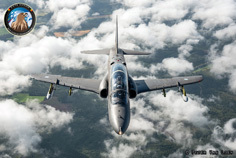 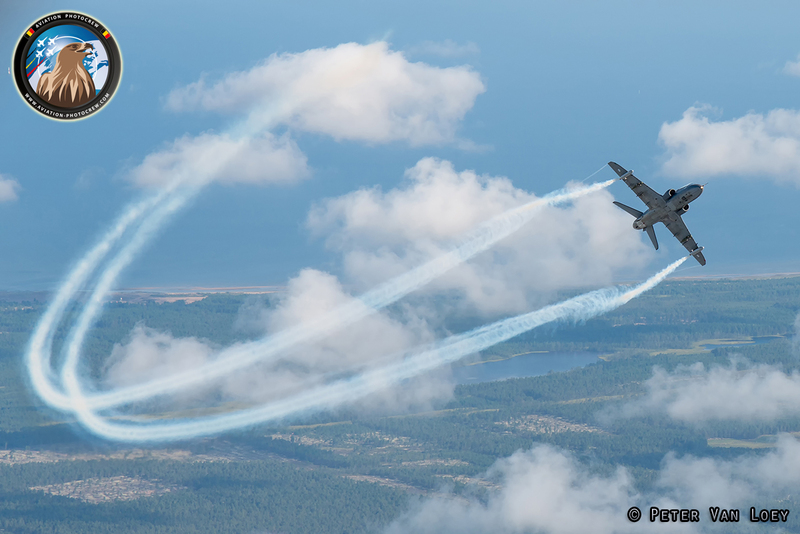 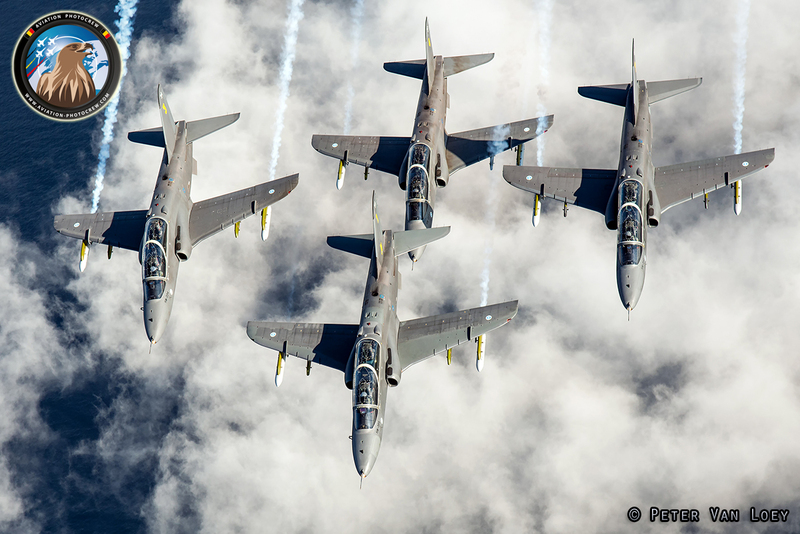 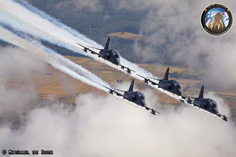 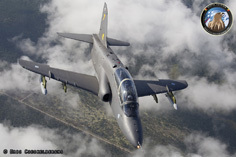 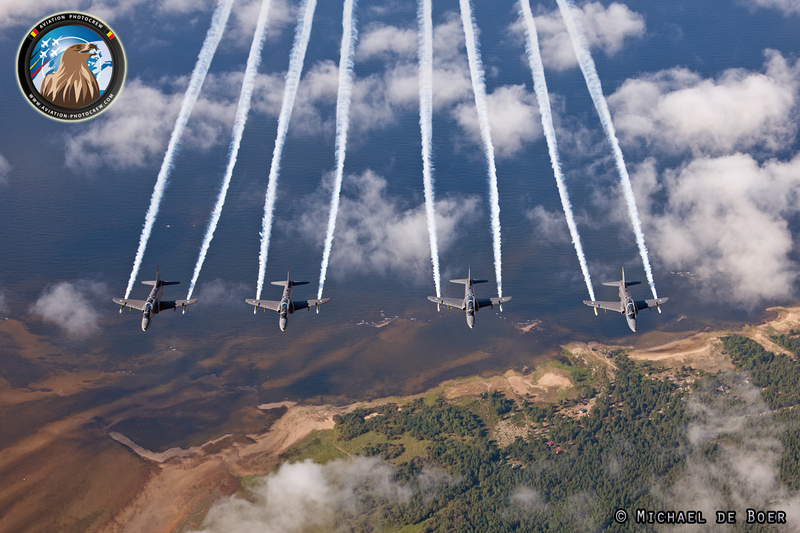 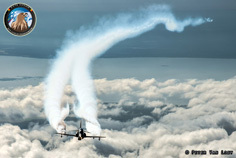 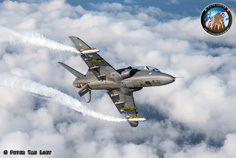 In August the Aviation PhotoCrew made the trip to the Oulu Airshow, where numerous photoflights were flown with almost all the aircraft attending the show. 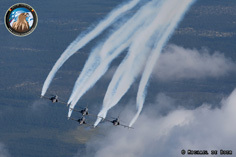 The Finnish Defense Forces were well represented at the Airshow, and almost all of the aircraft types were displayed to the crowd. Thanks to the good cooperation with the Oulu Airshow, some unique photomissions were flown with the Finnish National Team, the Midnight Hawks, the F-18 Hornet and the NH90 Helicopter. 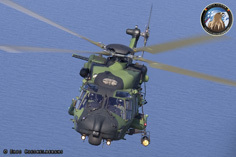 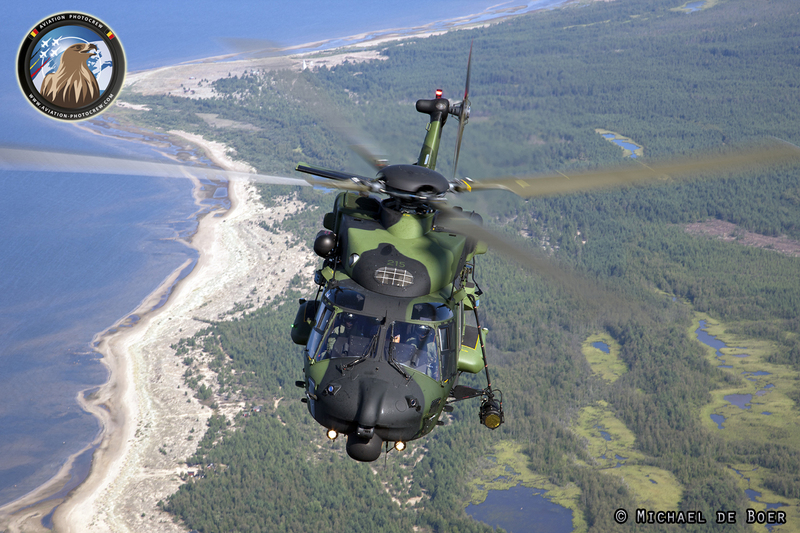 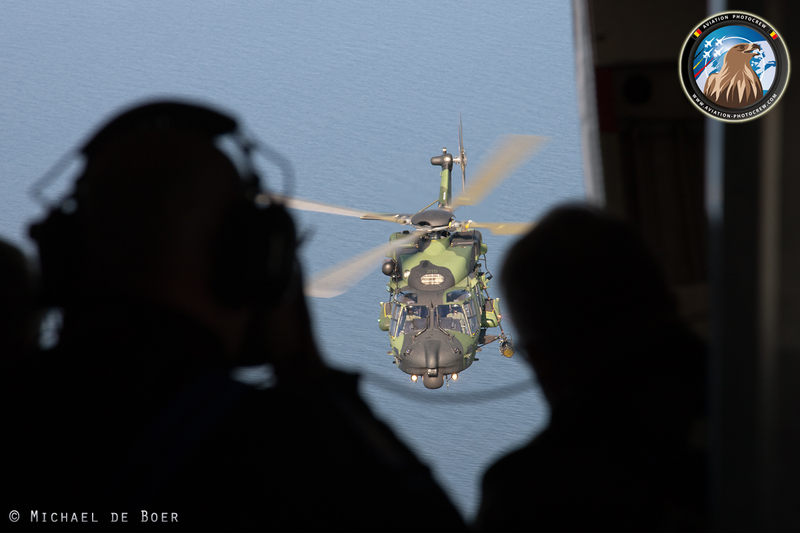 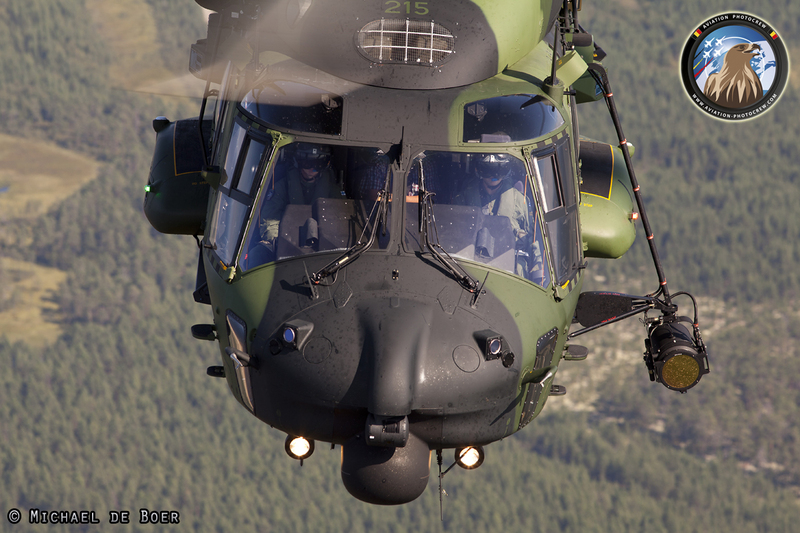 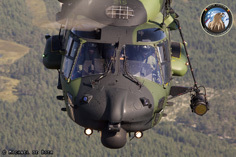 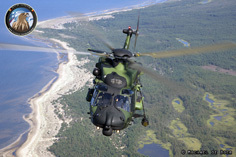 The NH-90 is the latest addition to the Helicopter fleet of the Finnish Army. 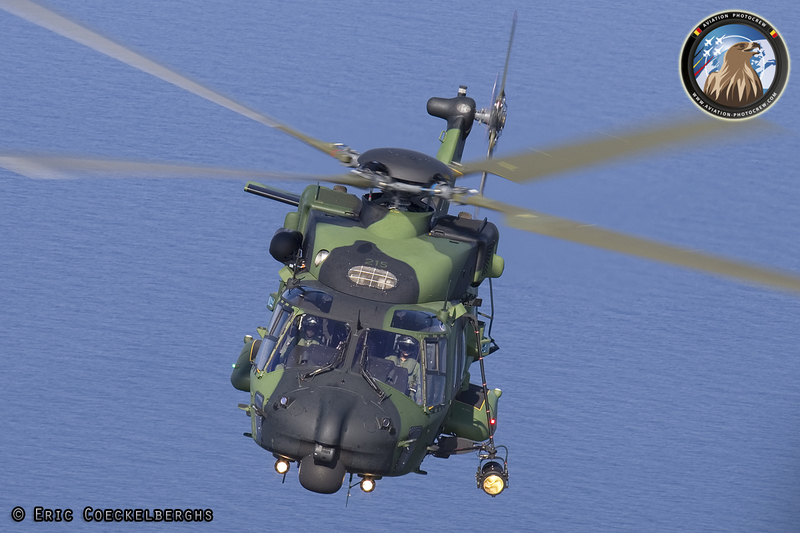 20 Examples of the Tactical Transport Helicopter were ordered of which 19 will be build locally in Finland. 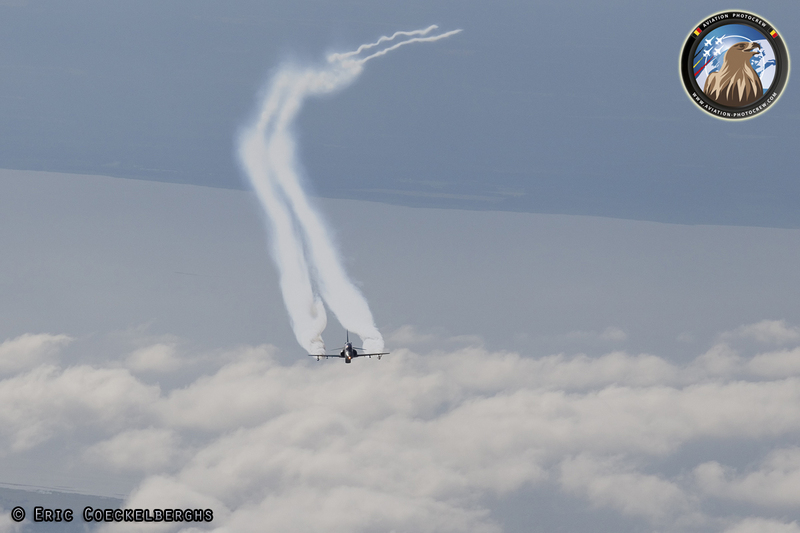 The Midnight Hawks is the national Aerobatic team of the Finnish Air Force, flying four BAe Hawks and well marked with their great smoke generators. The name of the team comes from the famous Midnight Summer Day event organized at the Finnish Air Force Academy, where the team yearly performs it’s display at midnight. 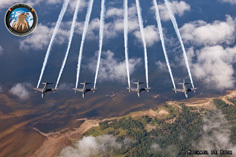 The team performs classic formation flying with the very tight diamond formation being their trademark. 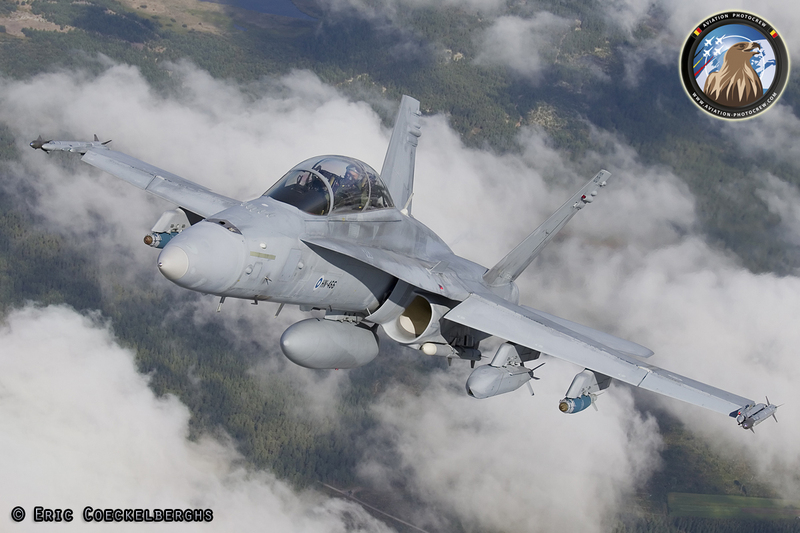 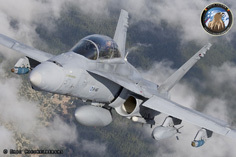 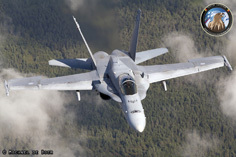 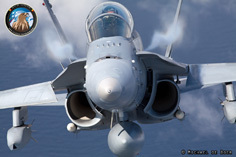 The F-18 Hornet is the main Fighter of the Finnish Air Force. 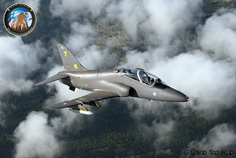 Purchased in 1992, 64 examples of the aircraft were ordered of which the single seat versions were locally build by Patria. 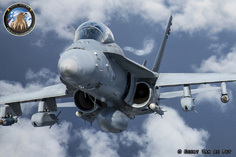 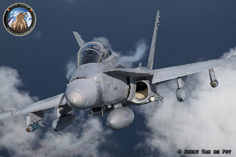 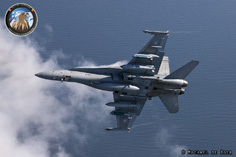 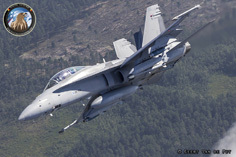 Visiting the Oulu Airshow was one F-18D model carrying a variety of both Air-to-Ground weapons and Air-to-Air missiles. 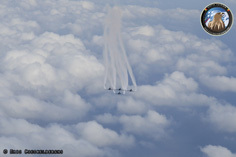 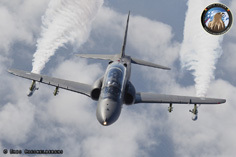 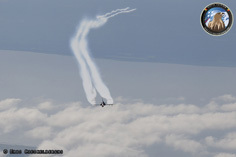 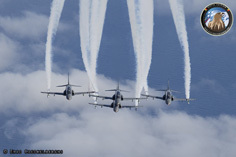 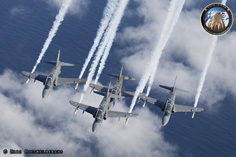 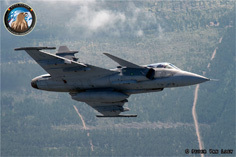 The Finnish Air Force regularly works together with the Swedish Air Force on paroling the skies over their countries. 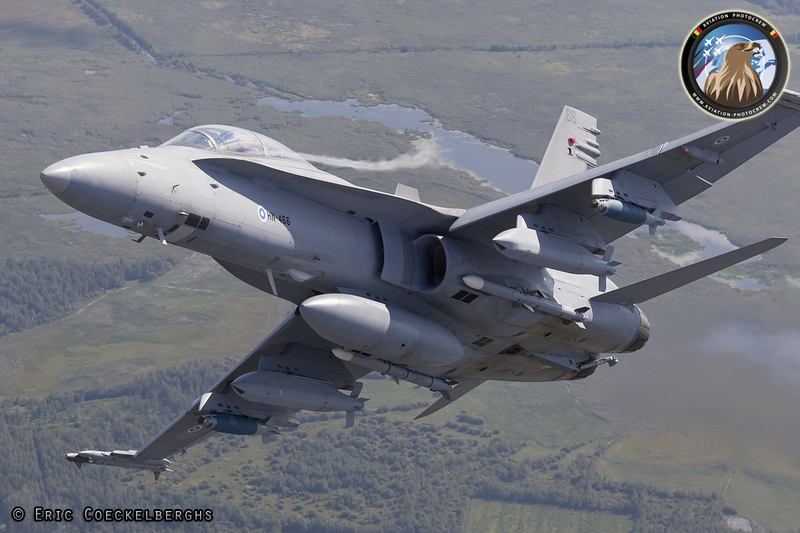 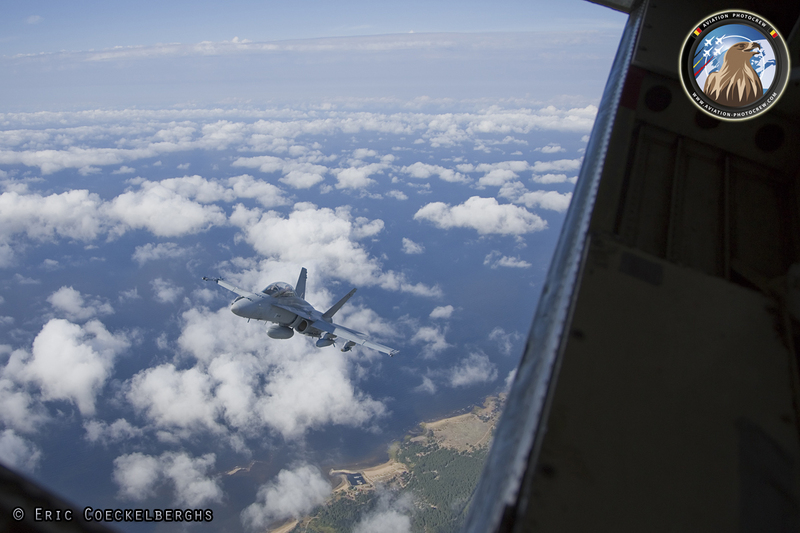 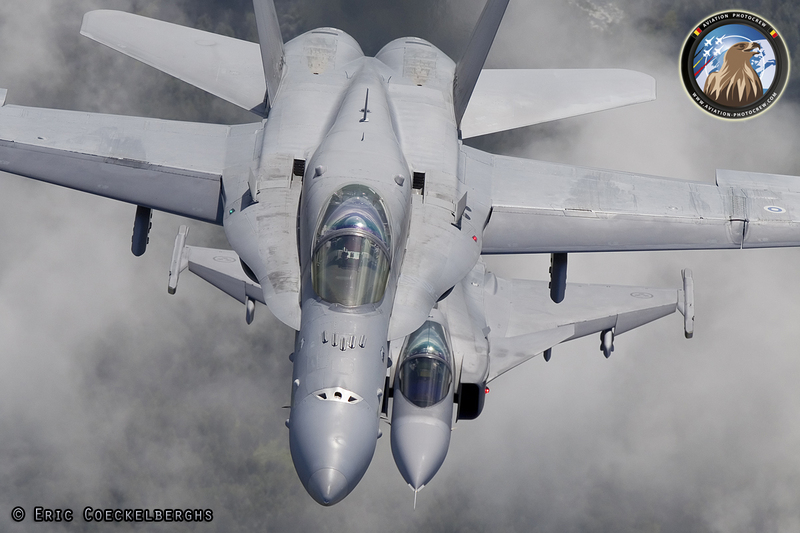 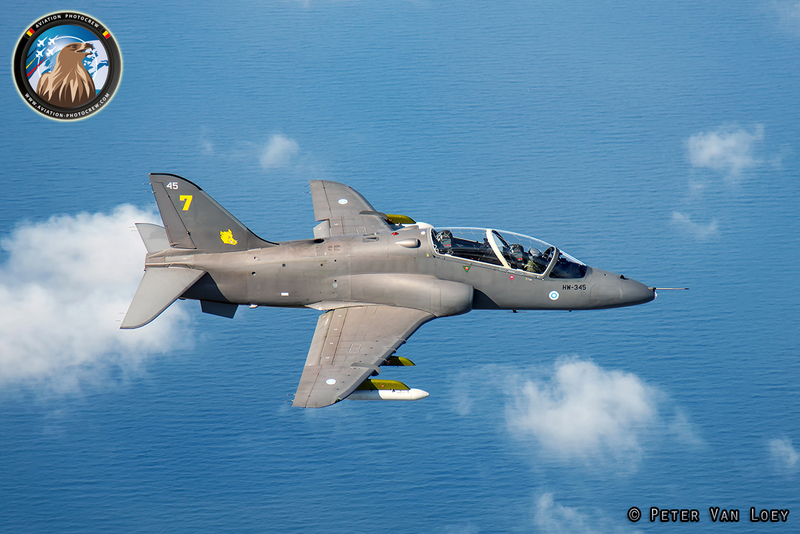 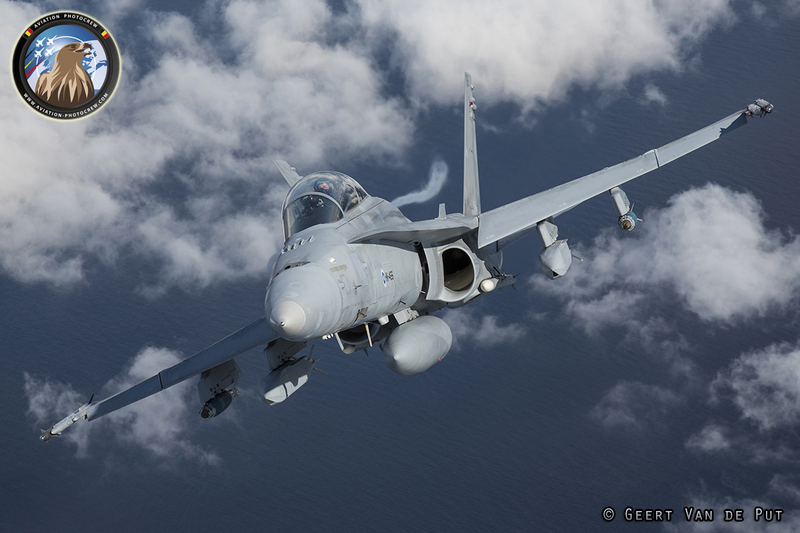 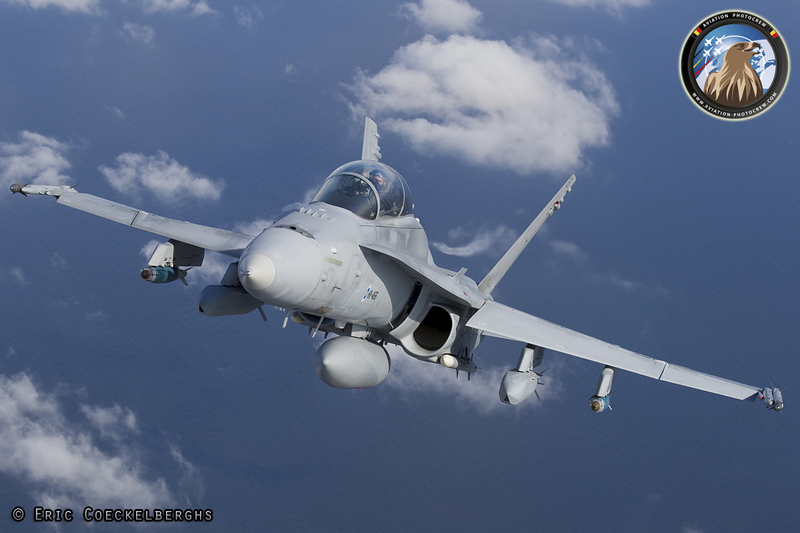 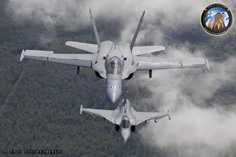 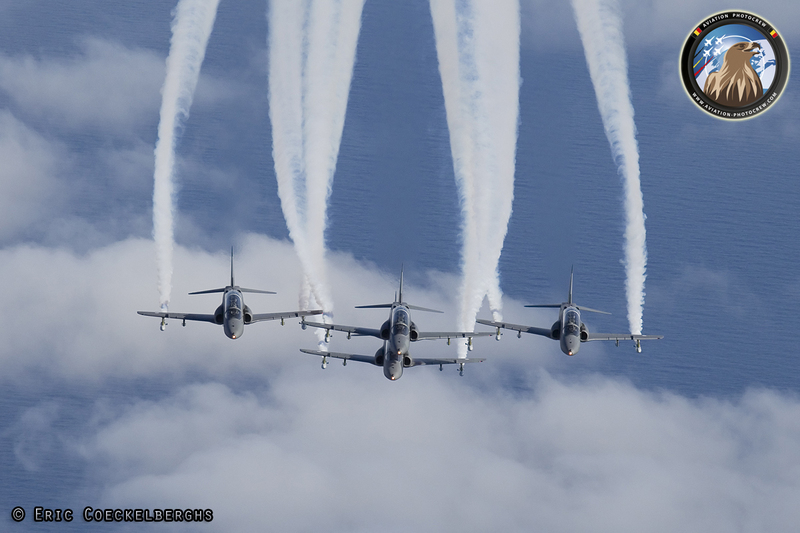 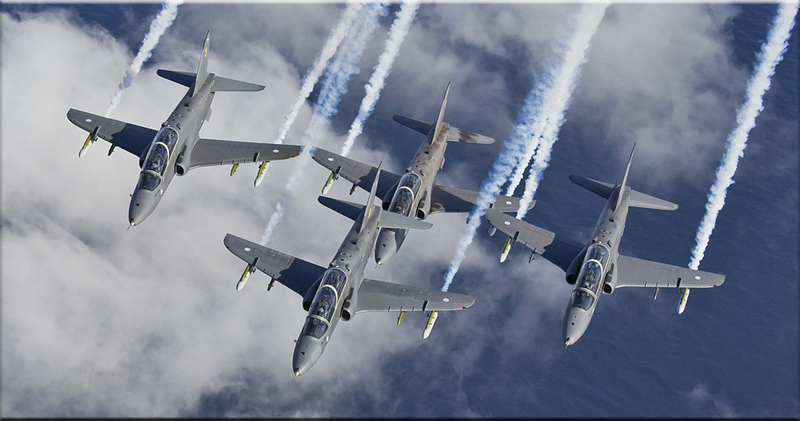 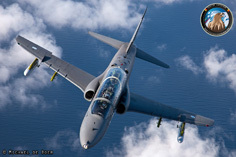 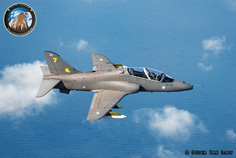 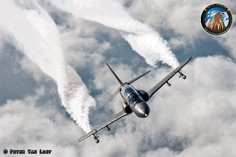 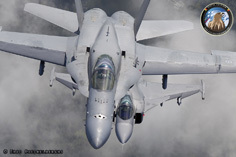 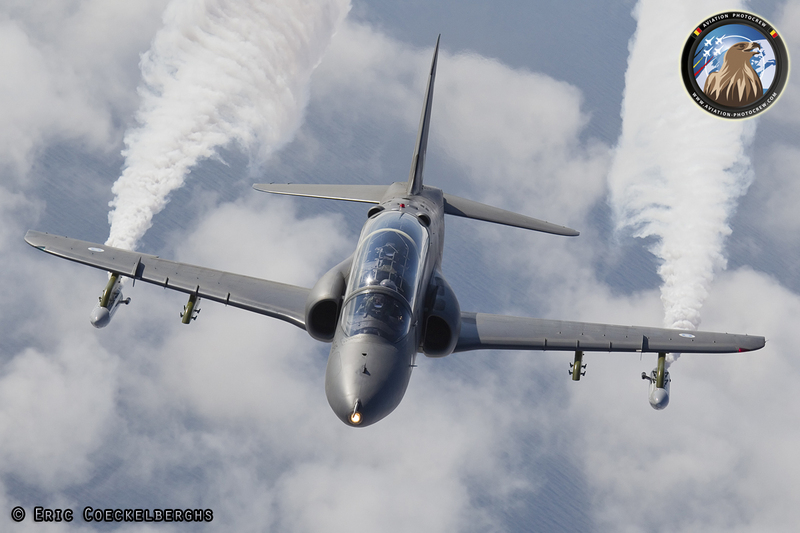 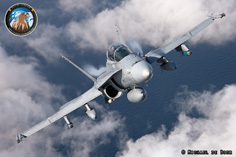 As a testimony to the cooperation, a special formation was flown with an Finnish F-18C and a Swedish Gripen.